Just look at these super-cute and totally harmless long eared bats on a dark blue sky full of beautiful clouds and stars! A one of a kind print from one of our favorite designers. 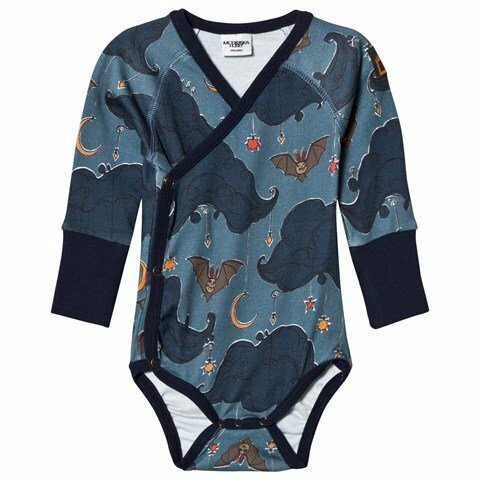 A long-sleeved onesie for the little one, made in 100% certified organic cotton jersey. The production of Modéerska Huset's garments are done by a small factory in Izmir in Turkey. The entire production is made without harmful substances and in accordance with the GOTS standards.